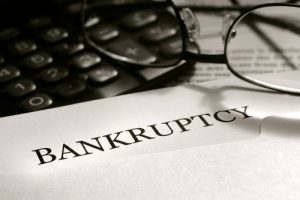 When filing for bankruptcy in Colorado, people can take advantage of the state’s bankruptcy exemptions, and using these exemptions can help them protect and keep some of their property through the course of their bankruptcy case. Because the bankruptcy process – let alone the details of bankruptcy exemptions – is likely confusing and unclear to many people, in this blog series, we will answer some commonly asked questions about bankruptcy exemptions in Colorado. If you have questions not answered in this blog series or you are ready to receive some professional advice regarding whether filing for bankruptcy may be a good debt relief option for you, don’t hesitate to contact Denver Bankruptcy Lawyer Arthur Lindquist-Kleissler. Q: What are bankruptcy exemptions and why should I care about them? There may be ways to increase the value of Colorado bankruptcy exemptions. Check out these Colorado bankruptcy exemption FAQs for more info. A: Bankruptcy exemptions are specifically legal rules stipulating what property people can “exempt” or not include in their bankruptcy estate. Exempt assets will essentially be the property that a person is allowed to keep, and there are very specific maximum values set (by Colorado law) for what qualifies as a Colorado bankruptcy exemption. In other words, only certain types of assets that are valued at less than a specific amount can be exempt from a bankruptcy estate. The reason that Colorado bankruptcy exemptions should matter to you is that they dictate what you can keep and what will NOT be sold off (i.e., liquated) to pay your creditors when filing for bankruptcy. Q: What type of property do Colorado bankruptcy exemptions apply to? Certain types of benefits and insurance policies. We will continue answering some commonly asked questions about Colorado bankruptcy exemptions in a few future installments of this blog series. Be sure to check them out – or simply call us to get all of your questions about bankruptcy exemptions in Colorado answered. Are you buried by debt or facing a serious financial crisis? If so, it’s time to contact Denver Bankruptcy Lawyer Arthur Lindquist-Kleissler. He can help you figure out your best options for resolving your financial issues so you can obtain the financial fresh start you need and deserve. Since 1979, Mr. Lindquist-Kleissler and the other legal professionals at Lindquist-Kleissler & Company, LLC have been providing both individuals and businesses with the highest quality of legal services for all of their debt relief needs. You can trust Mr. Lindquist-Kleissler to maximize utilization of Colorado Bankruptcy Law, to effectively guide you through bankruptcy, and, ultimately, to help you achieve the best possible resolutions to your case. For a free 30-minute consult and a free bankruptcy packet, contact us by calling (303) 691-9774, or email us using the form on this page. You will pay nothing up front to obtain trusted, professional advice regarding your case and your options.